So I got myself an actual full time job this week so I did not have the time to update this blog. From the start of January till now, there has been several large screen Phablets that has appeared on Fastcardtech which is worth taking a look at. 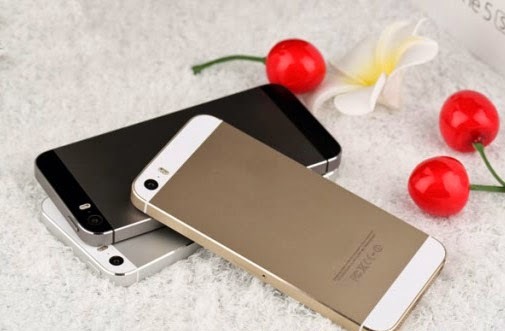 If you feel inadequate and want to make up for the size, these phones might help you with your self confidence. LOL! These phones have screens larger than the real Samsung Galaxy Note 2. I will now analyze and break down the choices so that you buyers can make better decisions for your purchase. Thats all for the 5.8 inch screen phones. They are all 5.7 inches actually and are really large so they are not in my list of phones to buy. But if you are in the market for a large screen phone then these phones can be considered. There are more 5.7 /5.8 inch phones on Fastcardtech but if I feel that they are not even worth considering so they are not in this list. I would like to mention that the ZOPO ZP950 is also a really a good phone but it is not available on fastcardtech yet and even the ZOPO site is only taking pre-orders. 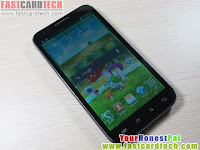 There is also the Changjiang N7300 and it looks like a clone of the first HDC Galaxy Player but does not have and screenshots so it is not in this list as well. So that's a roundup of the large screen phones. Feel free to comment or let me know if I have missed out on any other good 5.7 inch Monster Phones. Otherwise a good overview of phablets available. LOL, thanks for your comments. I'm don't know much of these phones, can you explain this a bit more: "You forgot to mention that HDC Galaxy S1 has no real use of a 'real 12MP' camera :)" ? Also is video recording any good on S1 ? What's up with ROM on all of these phones, they only have 512mb rom. Is there any phone or phablet with more rom ? Actually the ROM available space is 2.5gb. 512mb partition is for installing apps but there is a built in option in settings to install your apps to SD card, similar to APPS2SD. The extra 2gb is used as Phone Storage where your video recordings, picture snaps, temp downloads are stored...If rooted, there are some instructions on XDA forum on how to use the total 2.5gb space for app installation but I personally have not tried it. Yes I'm aware of that, but is there a phone with initial rom larger than 512mb so I don't need to root the phone? 95% of these phones out there are configured to have 512mb app storage space. My mistake, you don't need to root the phone to increase the partition size, you need CMW recovery and the flash tool to do this. If you really need the huge app storage partition then you are going to need one of those branded phones. Ok, thanks for heads up. Hello Greg Tay,i really need your help. Today i get a dual core 1.0 ghz mtk6577 ,512 ram,2 gb rom GT-N7177 chinese,only 1 sim card. My problem at this phone is i only can charge it when is shut down(when is shut down a battery apear is loading) when the phone is turned on...the battery show is charging but the percentage doesn t change....and the phone can`t be connected to PC in mass storage...please i need a opinion,everything work excelent except that problems..i think is a software bug,can you help me with a kernel please? I am sorry, I don't know what phone you have. Just return it to exchange it to one of the phones listed here. I wrote in my previous article. MT6589 phones will only be out in March and April. They are just trying to snag early buyers. This is not released yet...and I didn't even have to check that site. Hi Greg, I bought a Hero 9300+ (should have researched for more bang 4 buck) and in my haste to try and root it and being a noob, I bricked it D'oh! Do you have any idea if they are able to be jtagged to 'unbrick' or should I just chalk it up to experience? Sure you can unbrick it. 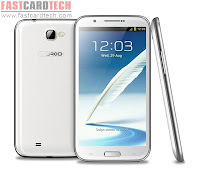 You can use the zopo zp900S (512mb version) ROM from the zopo site and use flash tool to flash it using your PC. Do you think it can have any embedded stylus as they suggest? Any opportunity to test it? Like I always tell everyone. Forget about the stylus. The phone only works with the el cheapo fat rubber tipped stylus. No way are you going to get the galaxy note wacom pressure sensitive stylus. Also do not buy that phone. It is not in my recommended list for a reason. 2 readers bought that phone and not happy with it. It only has 512mb ram and Android 4.0.4 ICS. Look at free ram and you see just over 100mb. For a 1gb phone it should have about 400-500mb of free ram. Hey, just search xda forum for this. Hi Greg, about the galaxy Lord it says that supports 16gb SD. Asked FCT and said that supports to 32gb. Who to believe descriptions or employees that answer our questions....? What about the batteries, is there a battery type that we can refer to when buying more capacity battery ? When you buy the phone just order the extra battery option. All phones have different batteries. I'm very interested in S1 model, but I'm trying to find out if camera and video recording is any good on this phone, does anyone have any experience with this phone ? I know that I have already posted this question, but I's kind of important to me to get this answer. The S1 is still a very new phone so no one has got it yet. These cameras are a hit or miss. More megapixels does not mean more quality. My guess is that you will get average picture quality. Video quality could have a lot of noise reduction making the image loose detail. I will put up some images in a new post from the HDC Mage tomorrow and you can check it out. I briefly tested it indoors in lowlight and it looks promising. Great, thanks ... let me know if you get any feedback on S1, or maybe you would recommend me some other phone similar characteristics ? Does anyone knows how to do a screen capture using the hardware keys? I just bought a n9588 and playing around with it. Power button and down volume at the same time. For original Samsung phones power button and home button. Perhaps there is another key combination. The S7100+ and G9300+ both jelly bean does work. Hello I am also discovering that there is no Play store (android market) on the phone, the volume also does not work (there is no sound when i play music, but it works when i put in earphone; that is the only way I get volume in the phone) and even though I requested that they remove all Chinese language from the phone, there are some apps and google website is in chinese language (I tried and changed the language on the phone to english but still no luck)...what do you know about their return policy and if there is any advise that you can give me I will really appreciate it...I really need help. Greg, once again thanks for taking the time to provide us with excellent infomation. I also bought the HDC Galaxy S1. I like it, but was dissapointed to find out that the Google Play Store was missing. I was able to install it, but it did not work. I kept receiving the following error message: "Unfortunately Google Play Store has stopped". After clearing cache, data, forced stop, and reseting the phone, it worked for a few seconds and then it stopped. 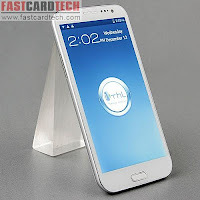 Do you know if this phone could be rooted. Sheila, I rooted this phone, then I was able to install the Google Play Store App. Hi all, How is gps fix with MTK 6577 or MTK 6589 phones? 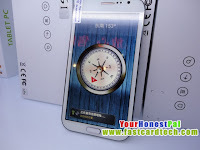 Can you recommend a phone with 4.7 -5.3 inch screen with good phone signal, wifi signal, good gps fix and good camera?